I believe in working together with patients providing the information and care they need to get well and back to their lives. very caring and compassionate. I would recommend him to anyone who may need him. Dr. Vercillo has already been told BY MYSELF how helpful & knowledgeable he is. He is a great dr. & surgeon. He done a fine job on me. I respect him so. He's easy to talk to & always listens!! He helped me thru a difficult time. Dr. Vercillo was very attentive and responsive. His staff was equally courteous and professional. Dr. Vercillo was referred to me by my radiation oncologist to have a biopsy done on my lymph nodes along my lungs. He was very friendly and explained everything that was going to be done for my biopsy. Everything went smoothly. Dr. Vercillo was very patient and through with all my questions. He gave me a lot of his time. I never felt rushed. They were so wonderful. They brought me a warm blanket because it was a little cool in the office. So nice. The drs., nurses, and receptionists were phenomenal. The dr. was excellent, explained the plan for surgery in a simple way and spent a ton of time talking through our questions I'd recommend him to anyone - great experience. Pleasant experience - explained my condition & what I need to do so it doesn't become worse. Dr. V. was called in to perform thoracic surgery. The _____ care was excellent. Dr. Vercillo was very respectful and took the time to listen patiently to my concerns. He explained everything on my Xrays in lay terms so that I understood, and put my mind at ease. I never felt rushed. What a warm and caring doctor. Wish there were more doctors like Dr. Vercillo. Dr. Vercillo has always been very good & kind. I consider him a excellent doctor (doctor). I had surgical biopsy on right lung. Dr. Vercillo explained my case very clearly and I had complete confidence and trust in his care. For my first time with this provider I felt comfortable with the Doctor. he answered all my questions and seemed interested in my situation. Excellent visits all the time. I could not be happier with the way everything was done & handled. But don't _____ measures a step by step move of all this trying time. The lung care specialists & their staff are amazing! Dr. Vercillo came highly recommended by another doctor. Dr. V. was courteous, concerned, friendly & easy to talk with. You can't ask for a better doctor! Very satisfied with this visit. Dr. Vercillo is professional & personable. Easy to talk to. I enjoyed my visit with this provider, and he answered all of mine & my husband's questions & concerns. My visit with Dr. Vercillo was very nice. He talked to me in words I understood. Also I didn't feel rushed by him. I found Dr. Vercillo EXCELLENT in every way, as was his staff. The only reason I am not using him is another hospital is more convenient for the family member who will driving me before & after surgery & caring for me after surgery. Dr. Vercillo is so great, he explained everything to me before and after surgery. He was trying to make all easy for me. I was quite upset with my health issues. But when I saw this doctor for the first time I was put at ease. His prognosis made my nerves relax. Dr. Vercillo is probably the perfect doctor. He has excellent bedside manner and is a _____ professional. Very caring, loving, and respectful person. 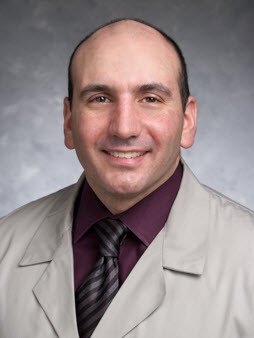 health eNews with Michael S. Vercillo, M.D.